Rega Couple2 review | What Hi-Fi? Rega is best known for its range of class-leading turntables, and more recently, the quality of its amplifiers. But take a look at the company’s website and you’ll find they are involved in manufacturing most parts of a hi-fi system, including some rather tasty speakers and perhaps less glamorously, cables. Some people still have doubts as to the worth of quality cabling in a system. Having heard many samples over the years we’re convinced good cables are vital to getting the most from your electronics. Good doesn’t have to mean expensive either. Rega’s Couple2 is the kind of sensibly designed cable we like. This interconnect isn’t cheap, but it is properly made and engineered with care. There’s nothing overtly flashy here, just high purity copper conductors wrapped in a flexible cover and terminated with some lockable gold plated RCA plugs. Lockable? There’s a screw-on collar that tightens the plug’s grip and ensures a decent contact, not to mention reduces the chances of the cable becoming disconnected by accident. If your amplifier doesn’t have much space between its input sockets then it’s a little awkward to tighten the collar, but in most cases it shouldn’t be an issue. We tried the Couple2 in a range of set-ups from our Naim NDS/555PS streamer, Gamut D3i, D200i amplifier, ATC SCM50 speakers reference system down to more affordable alternatives and it works well. Remember, cables are passive components. They can’t make the signal better, only ensure it isn’t degraded too much as it passes between boxes. With the Couple2 plumbed-in, our systems sound punchy and dynamic. Dynamics are strong and free flowing making the likes of Explosions in the Sky’s The Wilderness an entertaining listen. There’s an impressive sense of scale here and the ability to deliver the lower frequencies with considerable heft. We’re struck by the organisation too – despite the complex production the system stays calm and composed, refusing to muddle the various instrumental strands. Moving to Aretha Franklin’s Respect shows a surefooted sense of rhythmic drive and fine agility. Aretha’s wonderfully passionate vocals come through with clarity and bite, while the instrumental backdrop is rendered with skill. It’s not all flawless though. The Rega isn’t the most refined cable around, slightly emphasising some of the recording roughness, and the highest frequencies could do with a little more insight and texture. But none of this is serious enough to spoil our fun. 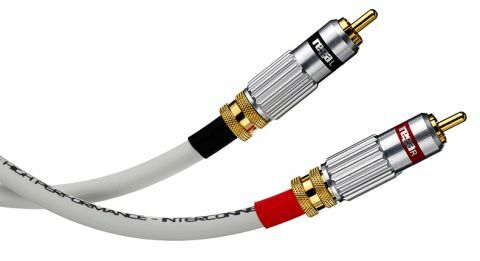 If you want an energetic and upbeat, but still nicely balanced, sound from your system, these Rega interconnects will help.